Professional pharmaceutical translation services play an important role for pharma and biotech companies. Under U.S. product liability law, significant liability can result “if a manufacturer or product seller fails to adequately communicate appropriate safety information to purchasers and users of its products”. But is a manufacturer or product seller obligated to provide technical translation of product warnings into languages other than English? In the case Ramirez v. Plough, Inc., 25 Cal. Rptr.2d 97, 6 Cal. 4th 539 (Cal., 1993), Plaintiff brought a products liability action against Defendant, a non-prescription drug manufacturer. In the action, Plaintiff asserted he contracted Reye’s Syndrome as a result of ingesting one of Defendant’s nonprescription drugs. Plaintiff’s action was based on the fact the product’s mandatory warning label was printed only in English. At the time, Plaintiff was literate only in Spanish. The court based its reasoning on a belief that tort liability should conform to state and federal law. 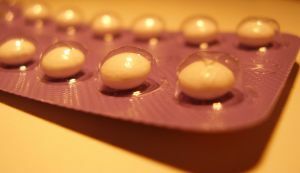 Although both state and federal laws require English language warning labels for the particular drug in question, neither requires the warnings to be in any other language. Thus, unless there is a state or federal statutory or administrative law requiring the use of foreign language warnings, an injured party has no grounds for a products liability claim against the manufacturer. Navigating Inconsistencies in International Pharma Labeling Requirements Read It! Pharmaceutical Translation Services for the EU Read It! Translation Services for Product Liability Litigation Read It!